Have you heard of P90X? I'm sure you have, EVERYONE has!! But several people are too afraid to try it because it's intense! Some people started it but never finished it because it was too difficult. Does this sound like you? If so, you're in luck! This program is a stepping stone to YOUR fitness! It's easy, low impact, and ANYONE can get started with it. You do not have to go to the EXTREME to get extreme results! 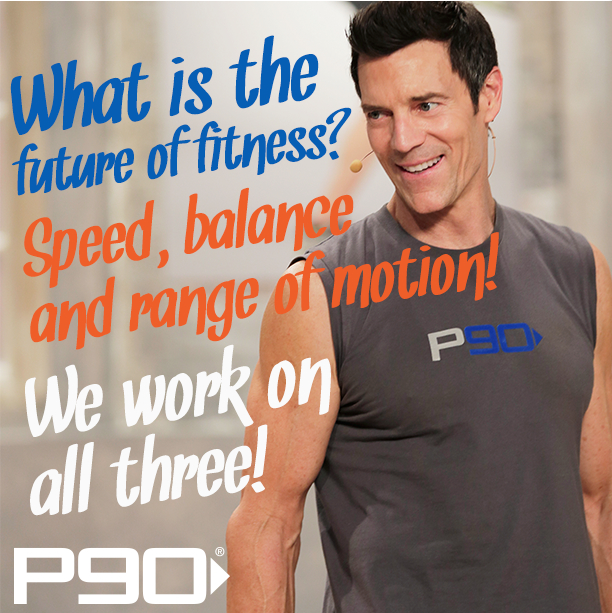 P90X changed the world of fitness! P90X is extreme, it's hard, and it's not meant for any and all fitness levels. I've done it. It was the very first at home fitness program I've ever tried, years ago, and I LOVED it. I saw amazing results from it, but it was tough and it's not for everyone! PLUS, Beachbody and Tony Horton want to support our troops and will donate $5 for each the first 50,000 Challenge Packs sold to the Wounded Warrior Project through October 31, 2014! You are afraid to try P90X or started it and never finished it because it was too difficult. You are wanting to get started with a workout for your first time. You need something low impact. You want to see dramatic visible results in just 90 days. Order Your Challenge Pack Right Now! and legs—and every move helps strengthen and flatten the abs. These routines don’t get harder until you’re ready for the next challenge. Then, just when you’ve mastered those moves, he ups the ante a little more. These 10 new P90 workouts are arranged in 3 Progressive Phases. 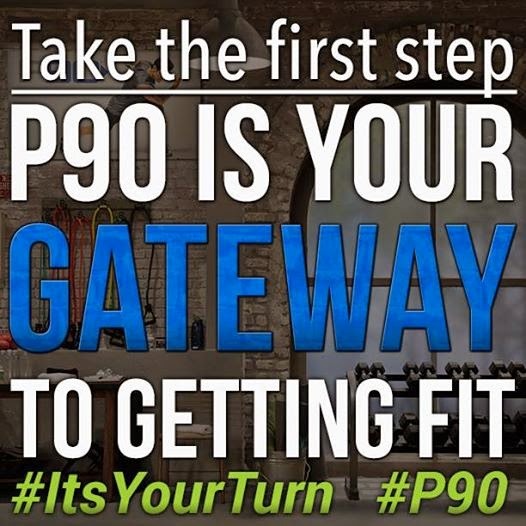 Each new phase of P90 is designed to gradually ease your body past its old limits. So after 30 days of P90, you’re leaner and more solid; after 60 days, you’re seeing muscles you’ve never noticed before; and by Day 90 you can finally have that lean, strong body you could once only dream about. Fitness rookies- those just wanting to get started. People with past injuries who want a low impact effective workout. People who would like to do a Tony Horton workout but cannot go extreme. Power 90 lovers- this is your new revamped, new moves version. People who have done P90X, X2 or X3 and want to maintain their results. gradually ease your body past its old limits. So after 30 days of P90, you’re leaner and more solid; after 60 days, you’re seeing muscles you’ve never noticed before, and by Day 90 you can finally have that lean, strong body you could once only dream about. The workouts are anywhere from 25-45 minutes long. Simple Kitchen Nutrition Guide: No complicated shopping lists. No calorie counting. Just everything you’ll need to put together 90 days of healthy meals you’ll love to eat. increase your chances of success. Think of them as Tony’s Golden Rules for getting AMAZING results. Resistance Band: Forget buying weights! You won’t believe all the ways Tony sculpts your body by adding this easy-to-carry tool to your moves. Looks simple . . . but it’s pure workout power! 6 Day Shred: Want REAL results in a hurry? You won’t have to wait long with this FREE Bonus Gift. See why we call it the Fastest Body Transformation Ever Created! 90 Day Workout Calendar: The secret behind P90 isn’t just the workouts—it’s doing them in the right order. Cross off every day as you get closer to the body you really want. You only need enough space to step from side to side. **BEST VALUE** ~ CLICK HERE To order your Challenge Pack, which includes the entire P90, along with a month supply of Shakeology, your choice of Flavors, and FREE SHIPPING! *If you've ever wanted to try Shakeology, this is the perfect opportunity for you! ALSO, as a COACH you can receive 25% off your future purchases as well! So make sure to ask me about the preferred customer discount. Shakeology Pancakes - Easy & Made from Scratch! Get 21 Day Fix while it is still on SALE!! 21 Fay Fix - September Special! !